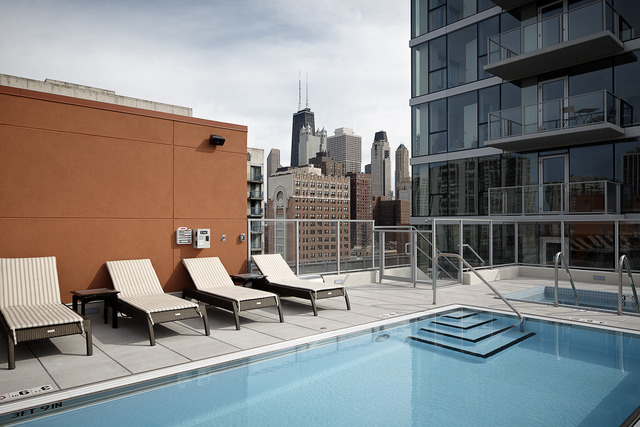 Old Town is one of downtown Chicago’s most charming and desirable neighborhoods to call home. Offering a true small-town vibe, an Old Town rental near the famed Wells Street strip provides a one-of-a-kind living experience and some of the best lifestyle amenities around. In addition, great deals can be found on Old Town rentals and often times, this part of downtown can be a bit more affordable than other lakefront areas such as Streeterville or the exclusive Gold Coast. Two bedroom rentals in Old Town with a spacious layout and even some top-notch building amenities can easily be found between $2,000 and $3,000, and depending on your design taste and preferences, rentals with a classic vintage touch or a sleek new construction feel are often on the market—so don’t worry about finding an interior of exterior space that fits your personality. On the higher side, look for an upgraded, updated 3 bedroom Old Town rental to come in somewhere around $3,600 per month. If you’re interested in great Old Town rentals and apartment units, contact our team of downtown Chicago real estate and rental experts today at (312) 566-8141. We’re one of Chicago’s most experienced teams when it comes to finding you the perfect rental to one day call home!